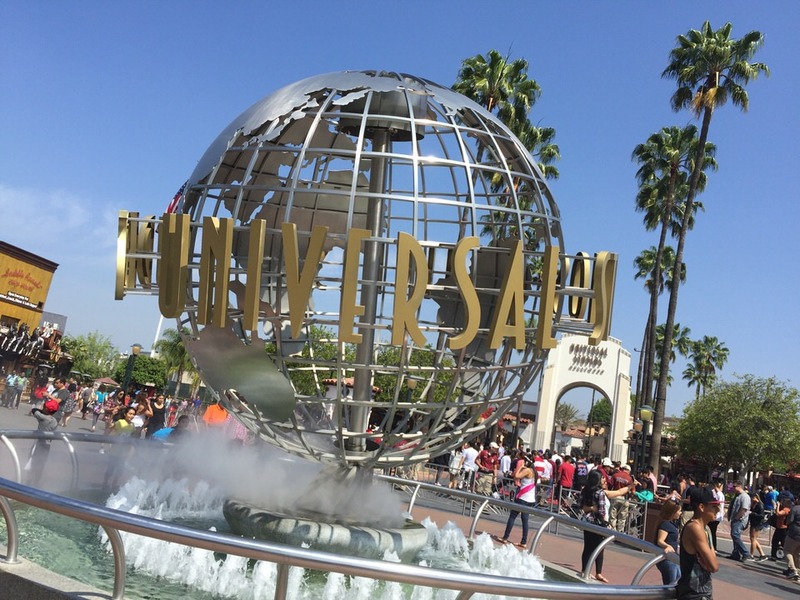 The Upper Lot of Universal Studios Hollywood is the first part of the park you will experience as you make your way in. 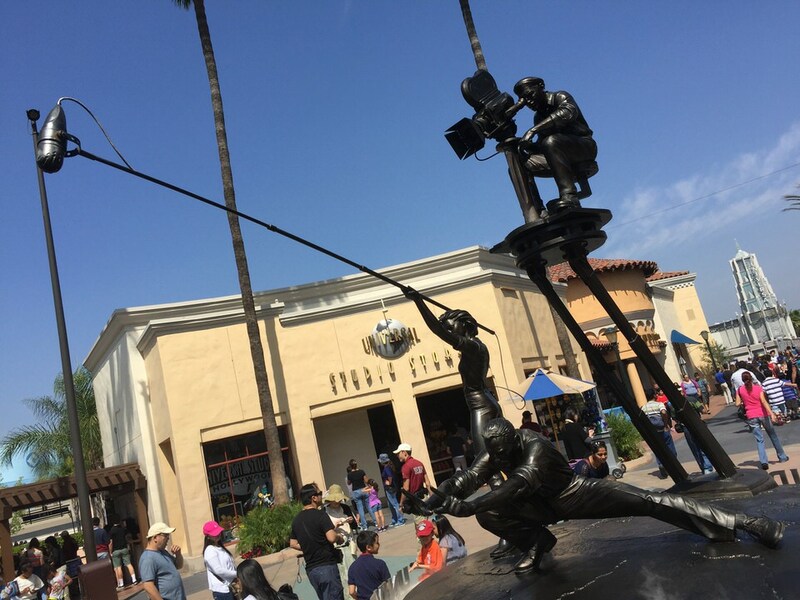 The Upper Lot blends a theme park with movie making magic. 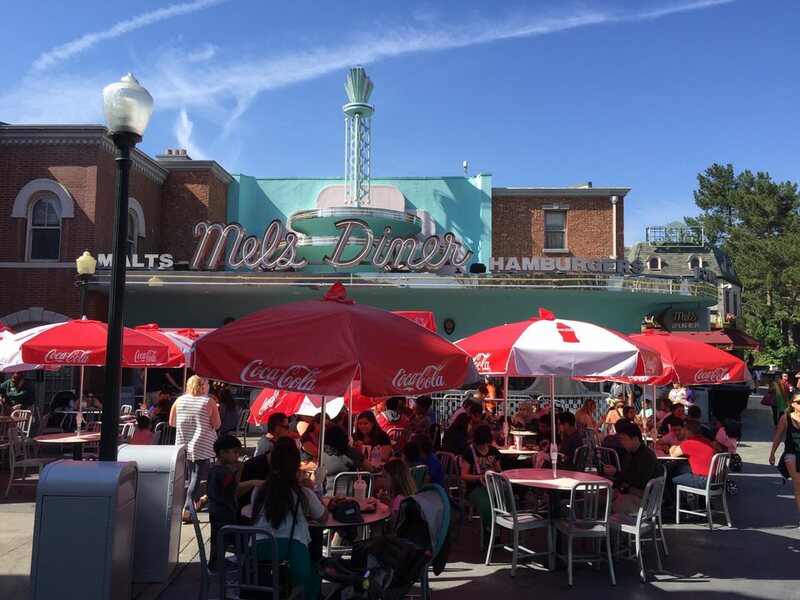 Some parts of the Upper Lot are just decorated sound stages, but that doesn’t mean you won’t find practical sets like 1960’s New York City, London or Paris! 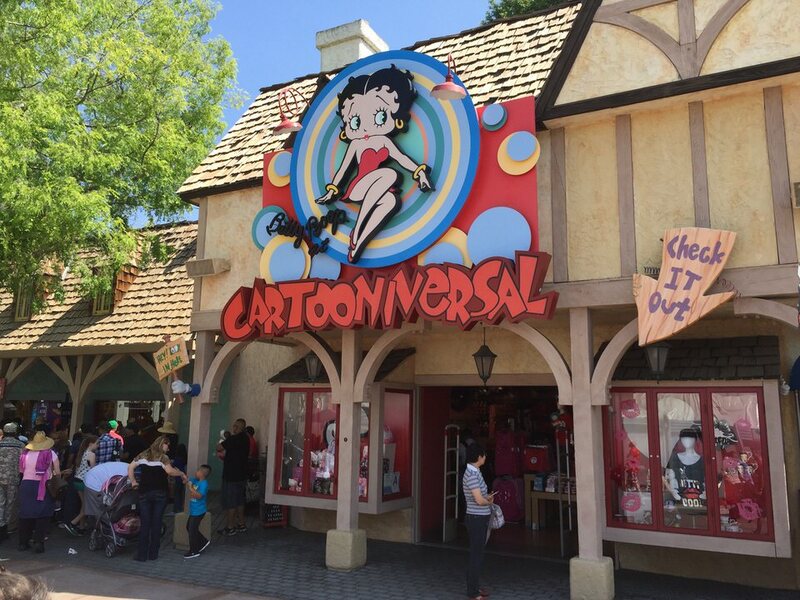 Highlights of the Upper Lot include the Studio Tour, Despicable Me Minion Mayhem & Super Silly Fun Land, The Simpsons Ride & Springfield and the WaterWorld. 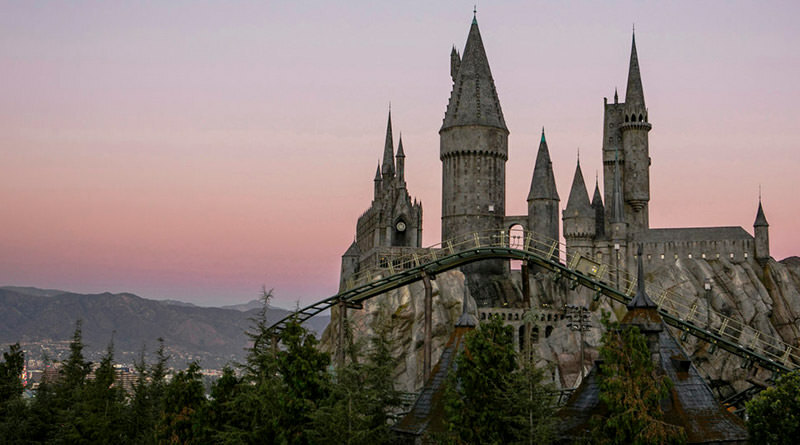 One of the first stops during any day at Universal Studios Hollywood should be the Studio Tour. 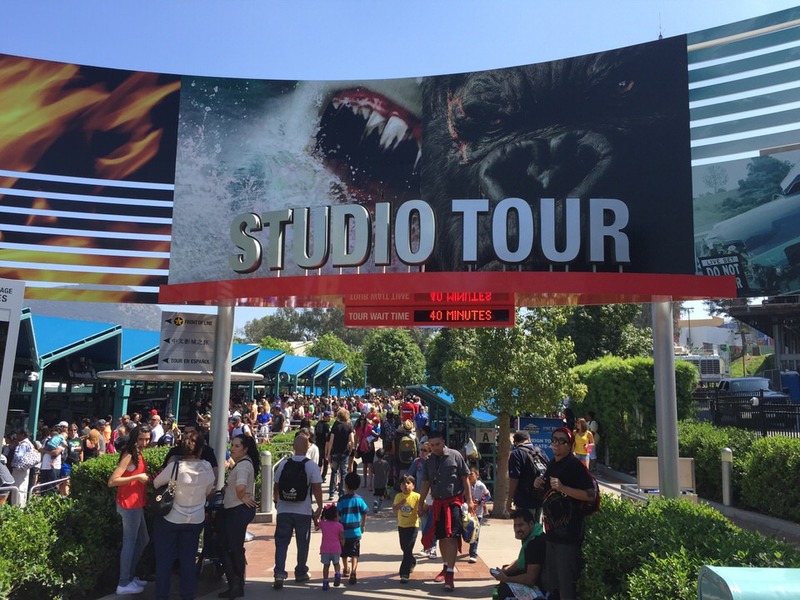 Hop on to one of the Studio Tour trams and let them take you into the backlot and through some of your favorite movies including King Kong in Kong 360 – 3D, Earthquake, Jaws and Psycho. Soon you will be able to experience Fast & Furious in Fast & Furious – Supercharged! In Despicable Me Minion Mayhem, you have the chance to tour Gru’s house and lab! In this 3D simulator attraction, guests don Minion goggles as they are transformed into Minions and receive their training with the help of Margo, Edith and Agnes on the day of their one year anniversary with Gru. 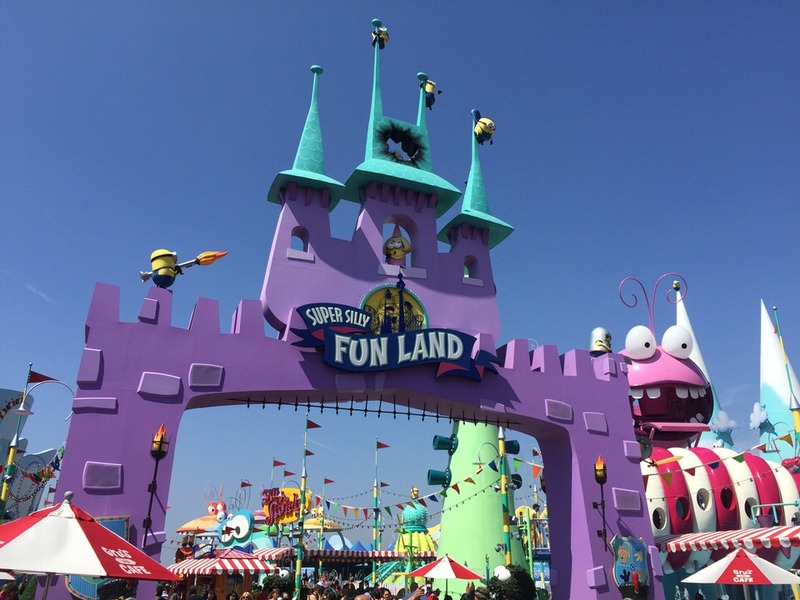 Super Silly Fun Land is the brand new Hollywood-exclusive Minion play land. Here kids can enjoy the massive water play area or take a spin on the Super Swirly Fun Ride! 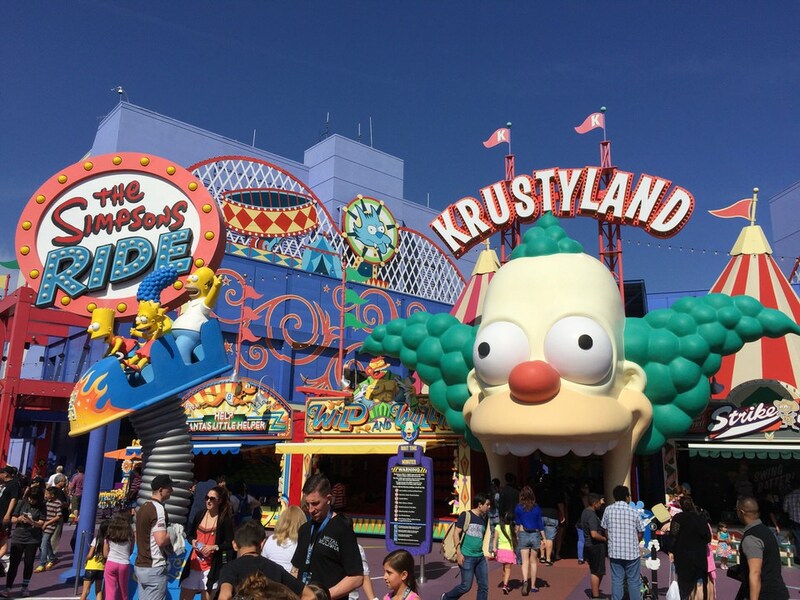 The Simpsons Ride is a thrilling 3D adventure that takes guests to Krustyland with America’s favorite TV family for the latest and greatest ride debut at Krustyland. However, Sideshow Bob has broken out of prison again and swears her will get revenge on Bart and the Simpsons. Although The Simpsons Ride replaced the fan favorite attraction Back to the Future, it still manages to throw in a nod or two! 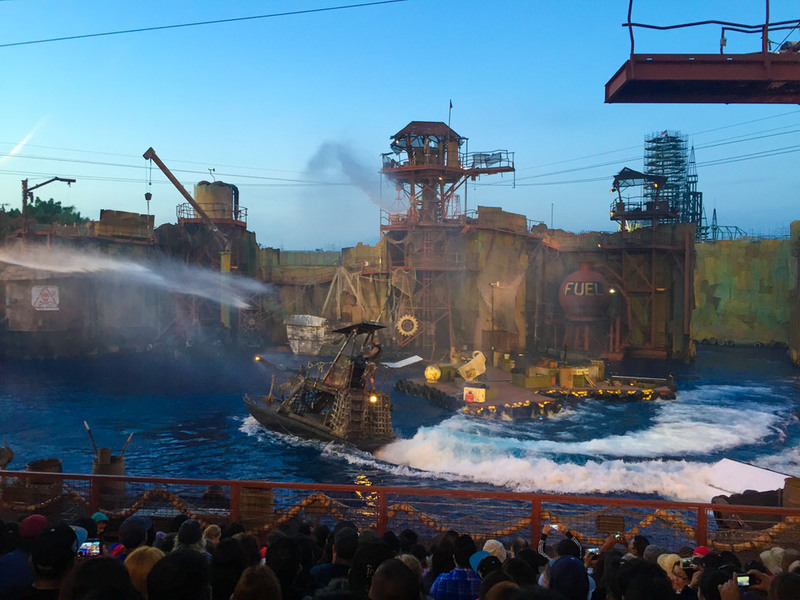 This epic stunt show takes place directly after the events in the Kevin Costner blockbuster film WaterWorld and tells the story of the Mariner and Helen trying to help more people get to the recently discovered dry land. 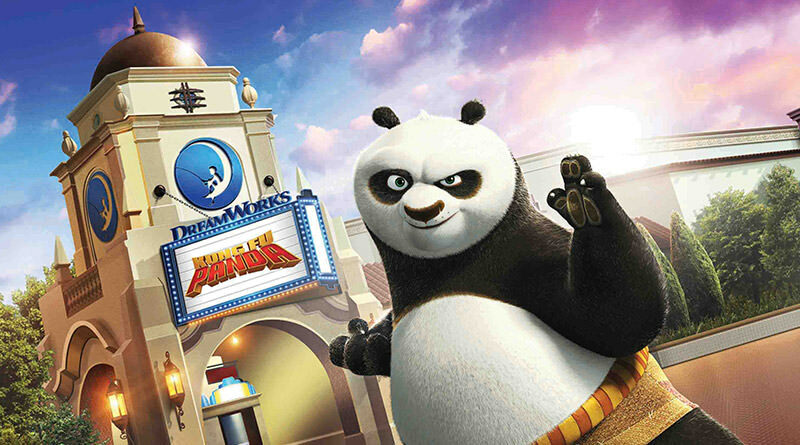 The show is cheesy at times, but is significantly more entertaining than the movie it is based on and features very talented stunt performers. There’s one thing that can be said about Shrek for certain and that is the film franchise isn’t nearly as popular as it was years ago. 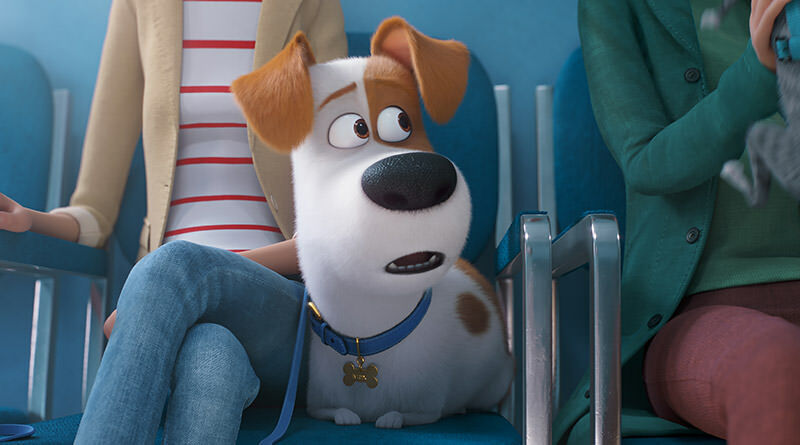 That doesn’t mean that Shrek 4-D is irrelevant by any means, but the 4-D show that takes place after the events of the first Shrek movie doesn’t have the legs it did in the past. Definitely something to check out if you’ve never experienced it before, but if you’re on limited time you can watch it at home as a special feature on the Shrek DVD. 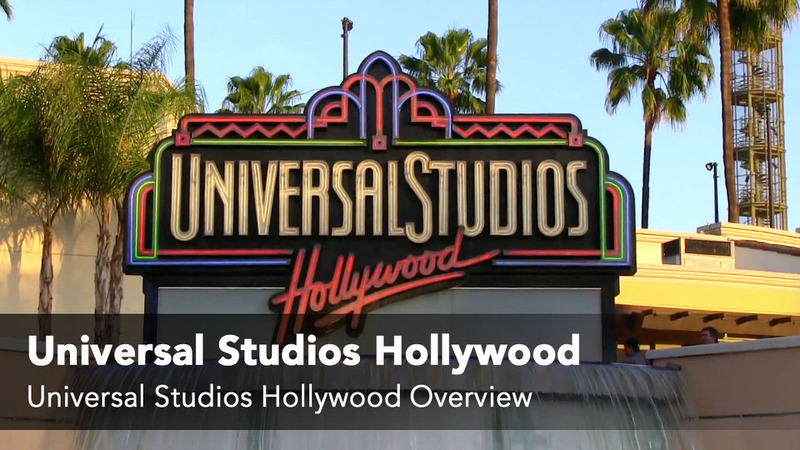 In many ways, Universal Studios Hollywood is starting to resemble Universal Studios Florida, but the fact that there is a working studio just below the theme park and experiences like Special Effects Stage really set the two parks apart. 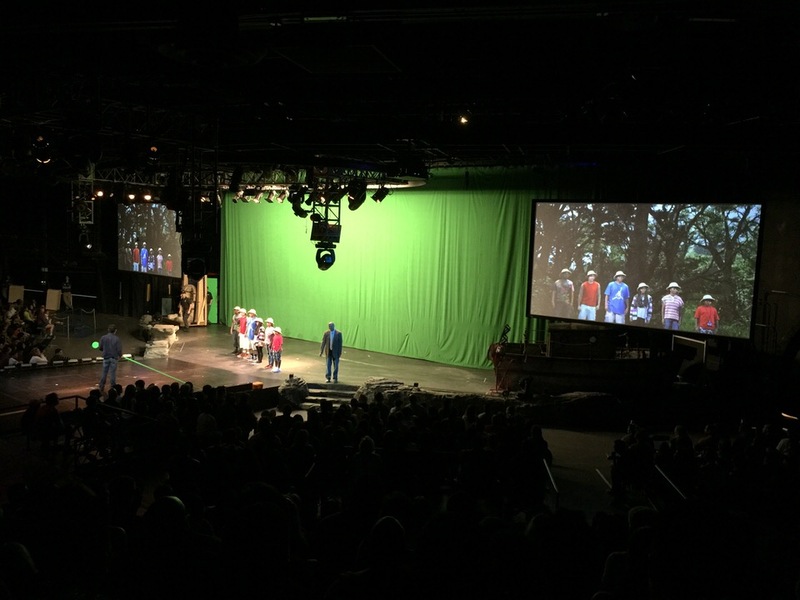 Special Effects Stage shows an audience how practical and visual effects are created for some of our favorite Universal films. While the show is a bit hokey, it is still an extremely entertaining look at how movies are made. If you like animals performing tricks and air conditioned buildings then look no further than Universal’s Animal Actors. 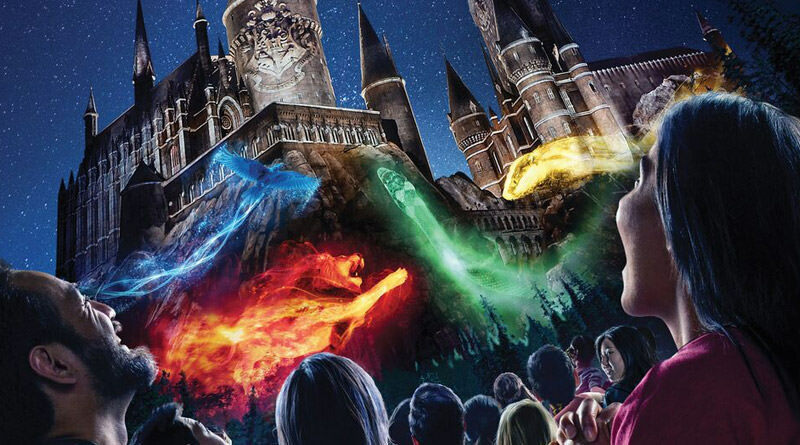 The best way to describe the show is cute, but it definitely isn’t on the top of anyone’s list for must-see attractions at Universal Studios Hollywood. Check it out and maybe you’ll get lucky and see a famous animal!